The Venus sofa set from Maze Rattan is a revolution in outdoor living – by incorporating integrated LED lighting into the frame of this luxurious sofa you can now enjoy your garden late into the evening. The integral solar panels mean that the ultra-long life LED lights will always be ready to illuminate your gathering, whether it’s an intimate glass of wine or a large gathering with friends. 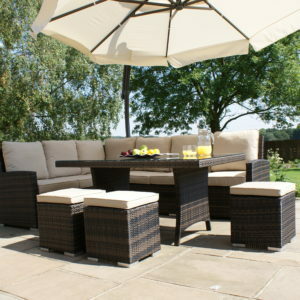 The set is supplied with an elegant white glass and aluminium table that matches the frame, making sure that your garden looks at its best all year round. 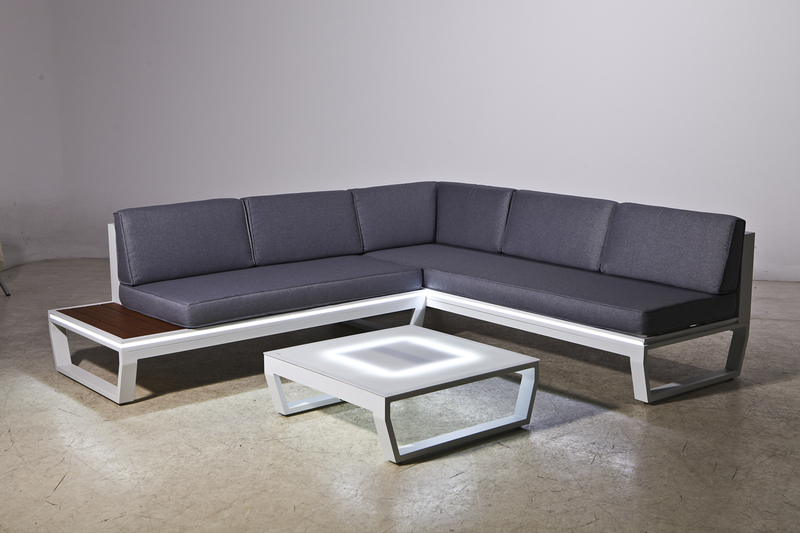 The glass table has a loop of LEDs that also light up to give your entire seating area a relaxing glow. 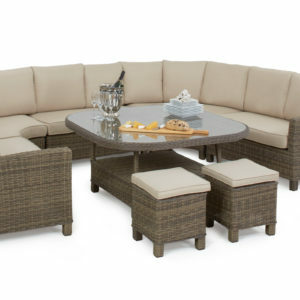 Made from high quality aluminium, with stylish teak painted accents and comfortable stuffed seat cushions, this set will bring you many years of enjoyment.